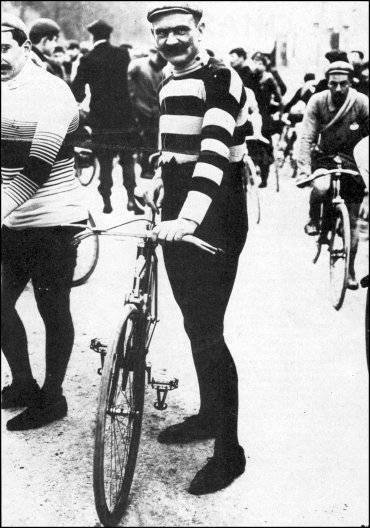 The French have a term of respect for the humble cyclist – “chapeau”, meaning ‘hat’, as in, “I tip my hat to you”. The best thing is, in my experience they love to tip their proverbial hat to you at the very moment – halfway through some grim battle with a Pyrenean gradient, for example – that you need it. Or perhaps I just look like I need all the help I can get? A couple of years back a riding companion and I were on the French side of the Pyrenees for a few days of glorious sun-kissed cycling. On this day we skirted the Spanish border and reached the town of Prats-de-Mollo – the perfect location for a coffee and lemonade prior to tackling the Col d’Ares; a long stretch of sweeping Catalan tarmac climbing to over 1500 metres in height. We sipped our drinks and watched the comings and goings, bikes propped against the wall opposite, before filling our water bottles in readiness to get moving again. My riding companion popped a couple of purple re-hydration tablets into his bottle, then looked up briefly to see he had an audience. An archetypal Frenchman, probably in his sixties and no doubt with a few of his own tales of cycling derring-do, was watching on with narrowed eyes. The man then approached; no doubt a garbled and unintelligible encounter was about to ensue. In my minds eye the man wears a stripy jumper and a beret, and has an extravagant waxed moustache in the style of Hippolyte Aucouturier (any excuse to slip him into an anecdote). In reality he was a non-descript Frenchman doing his shopping. My friend, without missing a beat, replied ‘naturellement’ (of course). Happy that the ‘rosbifs’ had played along with his little joke, our French friend smiled broadly and nodded, then wandered off with a chuckle as if to say ‘everything is as it should be’. For any non-cycling fans out there, EPO was the cyclist’s drug of choice in the era of Lance Armstrong and the rest – a touchy subject in France, and ripe for a bit of fun. Amused, we jumped back onto our bikes and pointed them in then direction of the next winding incline. Half way up the Col d’Ares the pair of us were locked in a grapple with the gradient. As we rounded a hairpin, a lay-by on the right contained a single parked car and a group of teenagers laughing and joking amongst themselves – just kids passing the time. With our legs quivering and lungs on fire we tensed up in readiness for the sarcastic jibes; surely the lads were about to show off and attempt to impress the girls by winding up the red-faced lycra-clad cyclists. As we drew near, the group stepped back slightly from the edge of the road to give us space, then began to clap and holler excitedly. They were encouraging us…and showing us respect…and cheering us on! We grinned, hearts warmed, tipped our imaginary hats, and rolled on. Proof that we were truly in cycling country, and that, in France, respect for the humble cyclist is alive and well. I was once greeted with similar encouragements from a family man in his early 30s at the top of a hideous climb out of Cassis. “Courage” was the word, but I ungraciously gasped that I was too old and too fat to be riding such hills. And he hadn’t seen me stopping for numerous photographs in order to get my breath back. His words made me feel like an absolute cycling hero, even so. Excellent! That’s the point eh? To have a random Frenchman shouting encouragement makes you feel like some kind of noble hero, regardless how much you might be struggling! It does make you all warm and fuzzy when random strangers acknowledge you are putting in the effort to enjoy the befits of cycling and conquer that hill. I had a slightly different encounter but to the same effect when my cycling group crossing Belgium to Amsterdam (on all of its fancy carbon bikes) was passed at speed by a 70 year old pushing out some serious wattage on a sit up dutch style geared bike. The old codger passed us at about 30mph – I sped up and caught him, and we exchanged pleasantries in a conversation going at speed- where he was going (he was in a hurry to catch his granddaughter in the next town, where we were going (thats a good route he says) – etc etc . We saw him later the same day and he nodded , waved his beret (yes he had one) and shouted ” go on then ” in perfect english and”allez allez ” for good measure. There were smiles all round in the group after that encounter, and we acknowledged the friendly waves and calls from the other locals passed with smiles and waves for the rest of the trip. It makes a huge difference to your frame of mind and is so different from the jaded and cynical catcalls you get in the UK – isn’t it. That’s so true, compared to the cynicism and catcalls of the UK the attitude on the continent is a breath of fresh air – I’m sure there are still plenty of cyclist haters but they seem to be well outnumbered by those who love it, and get it. Beats passing people here who say stuff like ‘come on then, get up that hill’ – erm yes, that’s precisely what I plan on doing, could you?? At the moment I get to pat my massive pregnant tummy and just inform whoever that I have a passenger on board, so I plan on taking my time thanks very much. I’ve had several of these moments – mine big one was https://fossilcycle.wordpress.com/2014/09/13/le-tour-de-farce-1st-edition/ “Le Diablo Ecosse”. But disagree about the generality of the UK attitude. I have had several lovely comments generally and on the Sportives (mainly Scottish) I’ve done ordinary folk have turned out (in the rain as well) to cheer us all on. The huge welcome on the high street in Pitlochry at the end of the Caledonian Etape felt extraordinary and heart warming. Maybe I’ve just been luckier north of the border? I started reading Ragtime Cyclist before I went to Tour de France and Yorkshire… this post is a good example why I continue to read his blog.